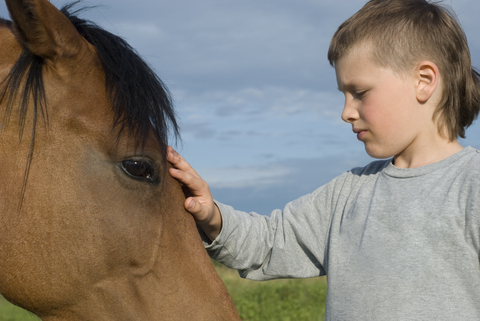 What is therapeutic riding: it is an alternative, holistic, therapeutic approach for people with physical disabilities. It is a form of therapy which uses the horse to achieve the therapeutic goals. Therapeutic riding is acting in the joints, spine, muscles and central nervous system that regulates motor, sensory, cognitive, psychological and social functions. A) Classical: The person is placed on the horse, his reactions to the horse are analyzed and horse’s movement affect the rider to achieve the goals of therapy. B) Developmental: Applied as the classic, basic objective is the smooth transfer of movement from the back of the horse to the rider and adaptability in this movement. The rider is guided therapeutic by the horse’s back and not trying to influence the horse in any way. 1) The hippo-therapy is the medical direction to physiotherapy in therapeutic riding. This form of therapeutic riding is not active, but a purely medical treatment method in the sense motion of physiotherapy. The treatment in hippo-therapy is above all concerned of passive adaptation to the rhythm and movement of the horse. 2) The therapeutic horse training is applied by qualified professionals as an individual or group format and includes exercises to improve learning, physical and psychomotor skills. The horse is guided by either the therapist – driver or is riding independently by the trainee. 3) The horse psychotherapy is based on psychoanalytic dynamic to address particular psychoses, depression and the institutionalization and aims to develop skills to the mentally ill in order the mental illness to be suspended. Thus, the beneficiary becomes physical, mental and social skills. Mobility is a complex operation in various forms which can vary ranging from a simple reflex action and reaching a more complex voluntary movement. In normal circumstances, our muscles are in a slight continuous contraction. This physiological phenomenon is called muscle tone and is necessary to maintain our body’s physical posture and to keep our muscles when we are ready to do a move. The muscle tone depends on the actual composition of muscle, but also reflective of factors that regulate the necessary changes there must be a ton to maintain balance in an upright position and in various other positions and the balance in the succession of movements. The function of the normal muscle tone depends on the operation of a proprioceptive reflex arc. The physiological basis of muscle tone consists of myotatic reflex which causes a reflex contraction of muscle. In cases of motor disability a disruption in muscle tone is observed. Spasticity is a form of disturbance of muscle tone, where there is excessive muscle contraction, to an extent that even people with near normal muscle strength, it is impossible to run smoothly voluntary movements. Diseases such as cerebral palsy, traumatic brain injury, spinal cord injuries, multiple sclerosis and other neurodegenerative conditions are causes for the development of spasticity. ¨ Develops the symmetry of the body. ¨ Improves balance, proper posture and control of the head. ¨ regulates muscle tone and reduce spasticity. ¨ Causes halt abnormal movement patterns. ¨ exercises the passive, with specific three-dimensional movements of the back of the horse. ¨ Improves cardiovascular function and stamina. ¨ Helps develop important muscles of the torso. ¨ Improves the quality and intensity of speech. 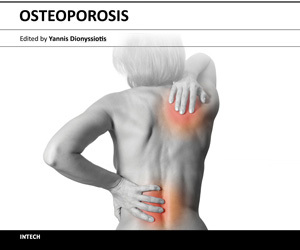 ¨ coordinates their movements and increases range of motion of joints. ¨ Increases the understanding and control of movements of the rider. ¨ Increases attention, optikokinitiki ability and orientation. ¨ helps the rider to overcome various phobias such as fear of movement of the horse. ¨ Develops relationship of respect between horse and rider and fosters a sense of respect and love for animals. ¨ Stimulates emotional, substantially increases self-esteem and confidence of the rider and reduces self-absorption. ¨ Develops self-control, patience and perseverance. Therapeutic riding can help heal almost all physical, physiological and psychological disorders, however there are some diseases for which they are forbidden. Epilepsy when it is not well pharmaceutical regulated or seizures are grand mal, the horse should be avoided. Severe forms of scoliosis or Scheuermann disease (thoracic kyphosis) is also a contraindication, and diseases associated with blood diseases. Absolute contraindications are allergies to dust, the sand of the Hippo-drome and horse hair.